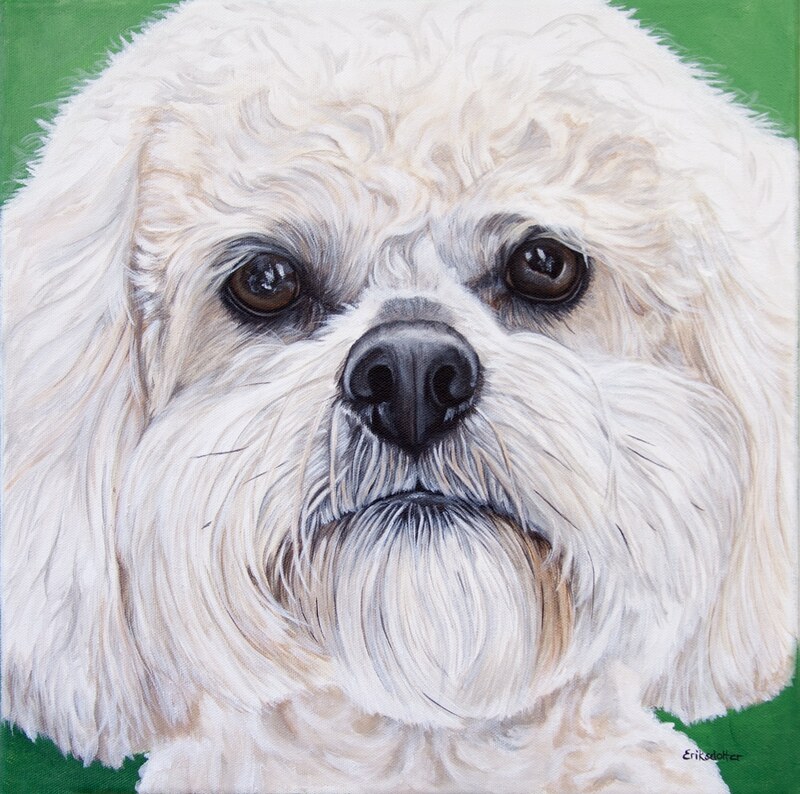 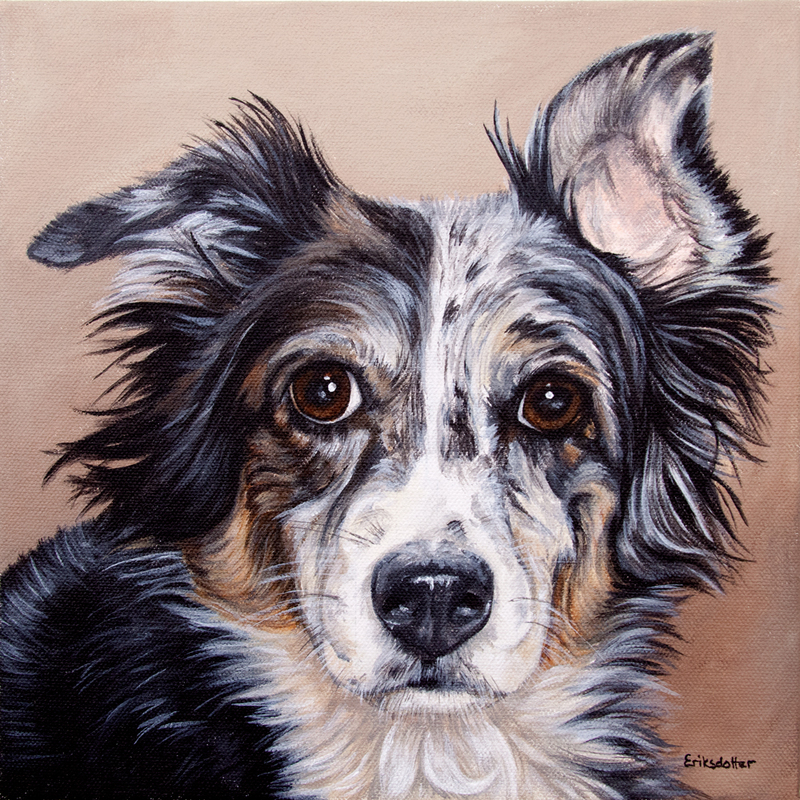 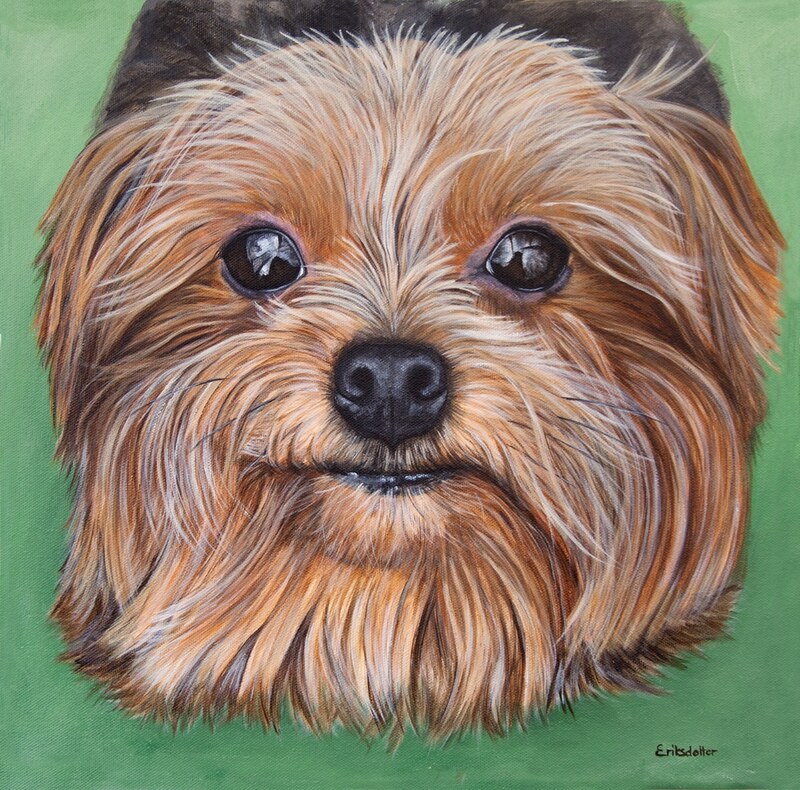 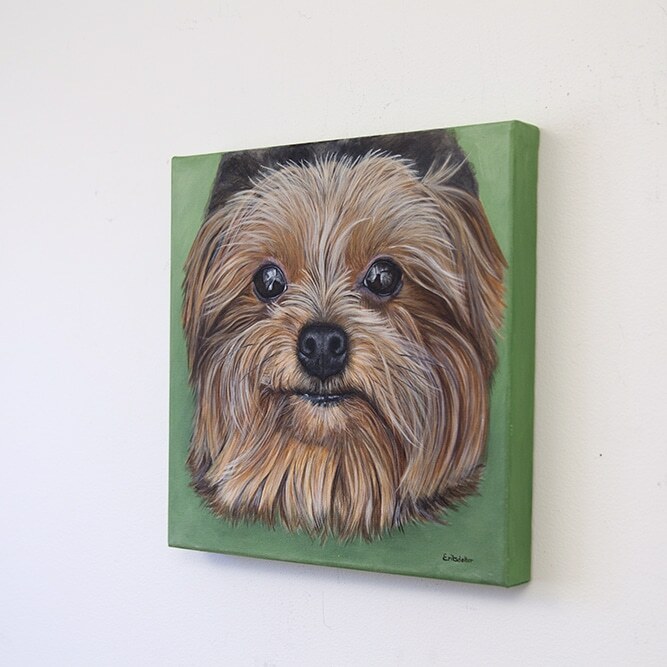 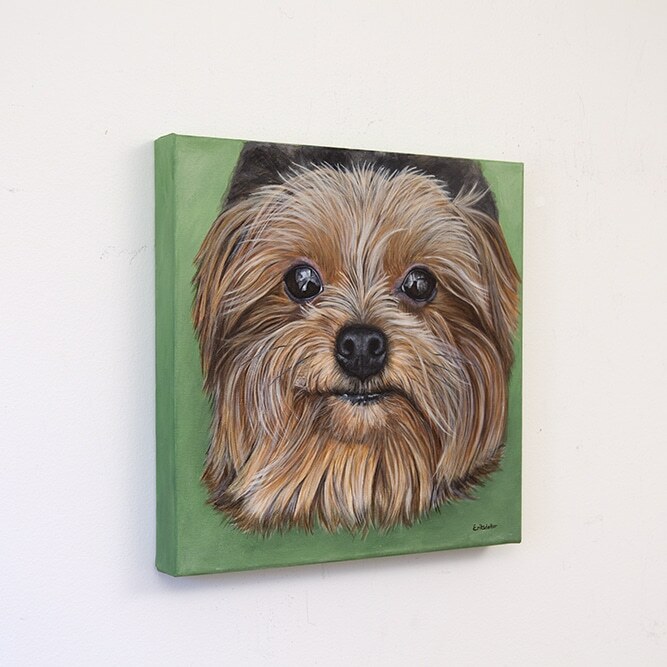 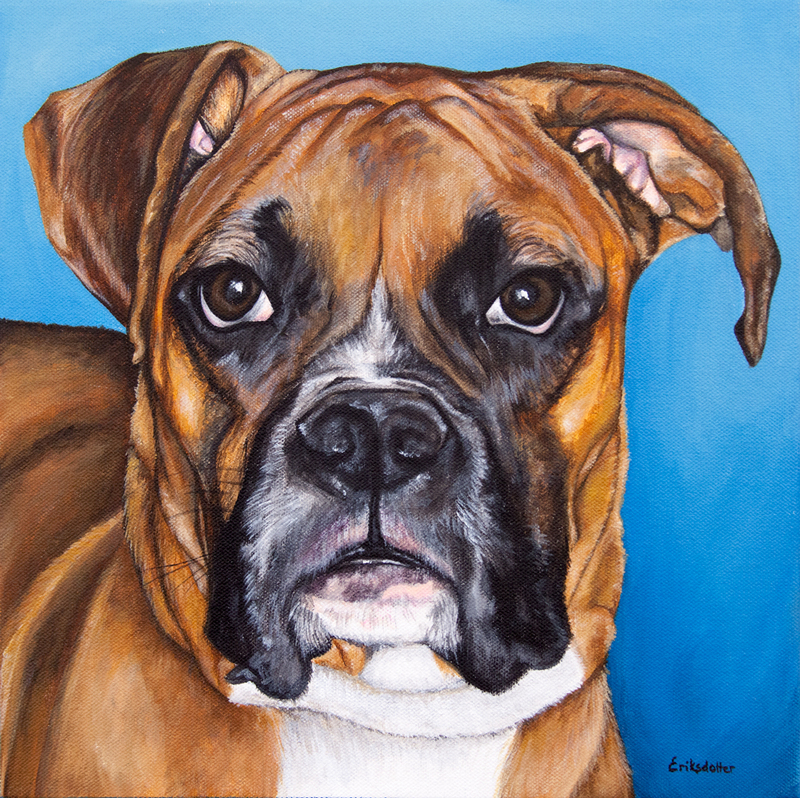 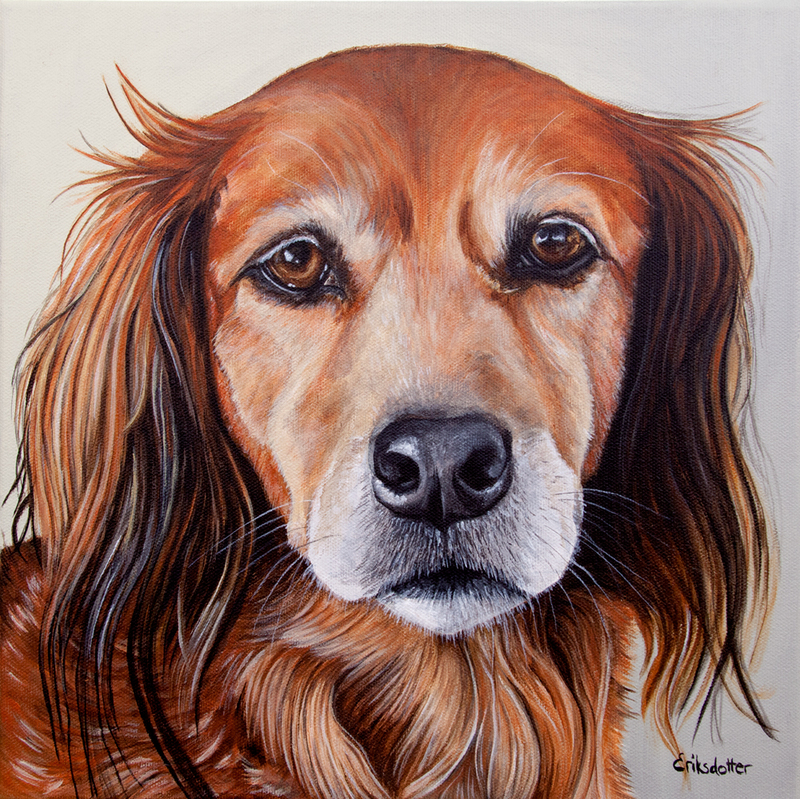 Lexie’s portrait is an original painting commissioned by a client in Virginia as a birthday present for his wife, a very fitting present since Lexie was her birthday gift from her husband eight years earlier. 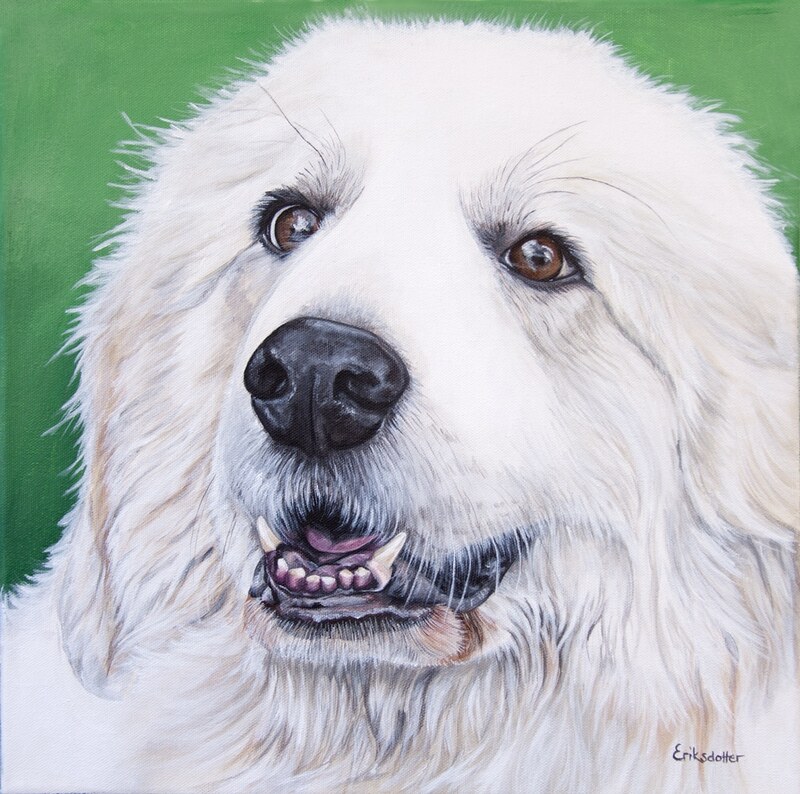 He also commissioned portraits of his other two dogs, Boomer and Sugar Bear, at the same time. 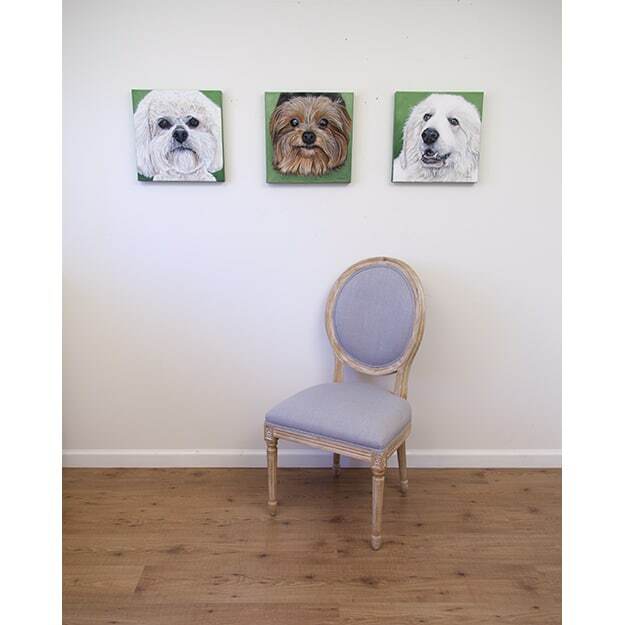 All three were painted with a unified look and feel.